We’re excited to announce our participation in Extra Life for the second year in a row. Thanks to your support last year, we raised $16,555 to benefit Children’s Miracle Network—and this year, ArenaNet will match that dollar for dollar. Help us charge full speed to last year’s total, and we can contribute $33,110 total to Extra Life! From noon Pacific Time (UTC-7) on Friday, November 2 until noon Pacific Time (UTC-7) on Saturday, November 3, join us on our official Twitch channel as we stream our gameplay live from the ArenaNet studio. For part of the event, we’ll also be featured on the official Extra Life Twitch channel. We’ll have lots of giveaways, surprises, and fun, so don’t miss it! Keep an eye on our Twitter and Facebook for information leading up to and during the event. If you’re participating in Extra Life too, we’d love to have you on our team! Visit the Team ArenaNet page to join us, or to make a donation toward our goal. This year we’ve partnered with Extra Life as a Super Team, which is a large team made up of many smaller teams. 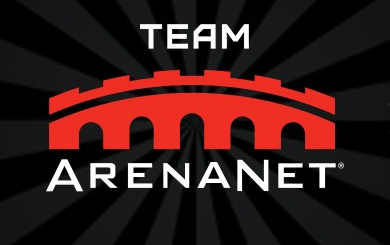 That means you can create your own team and register as a Team ArenaNet sub-team. All the funds raised by your sub-team will count toward the Super Team’s grand total, so let’s combine our powers to reach the goal!